A two storey stone built cottage containing a large kitchen/living room downstairs and a double bedroom and a twin bedroom upstairs both with en-suite facilities. 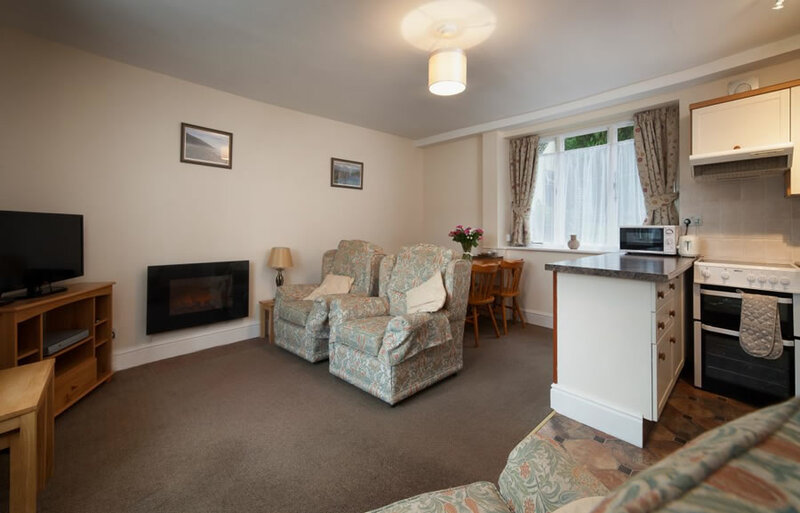 There is electric convector heating throughout the bedrooms and living room. 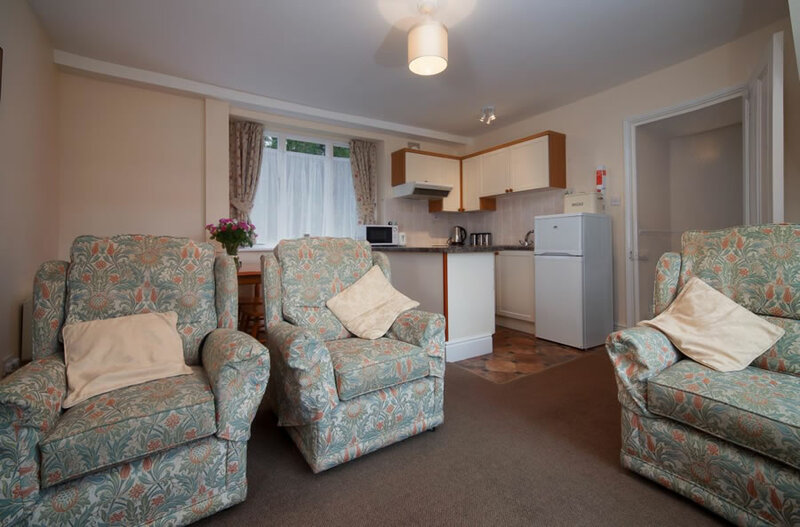 The kitchen area is separated by a breakfast bar and has a fridge freezer, microwave oven, electric oven, and toaster and is fully equipped with all utensils and crockery. There are two single armchairs and a sofa, a flat screen television, DVD and electric wall display heater. Dogs not permitted in cottage. 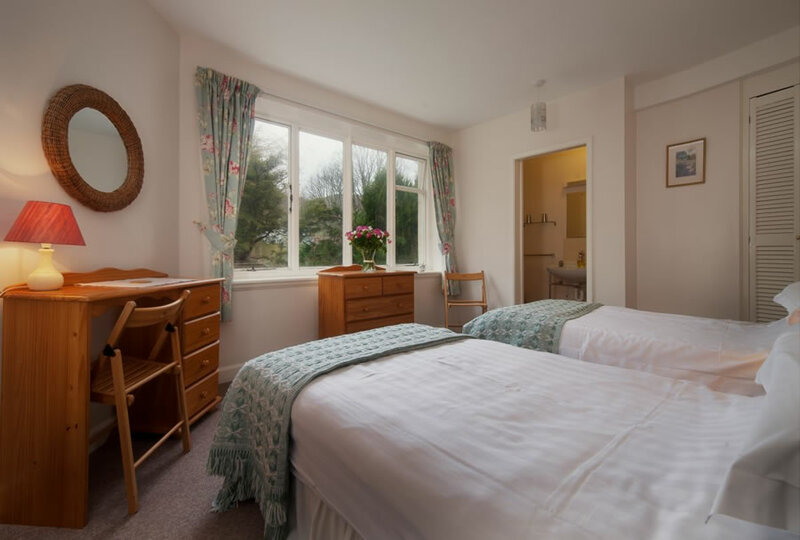 The double bedroom has a full size double bed with wardrobe and dressing table and wall mounted convector heating and en-suite bathroom. The bathroom contains a full size bath with shower over, wash hand basin and WC. 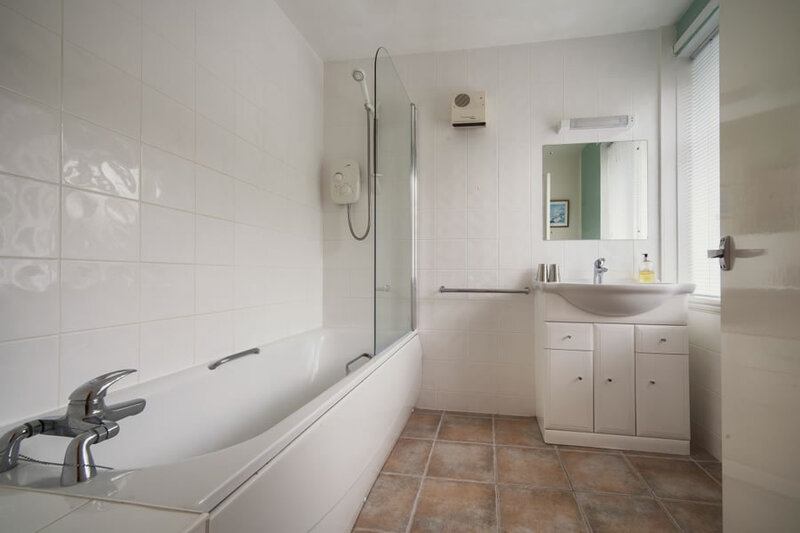 En suite bathroom to the double bedroom has full bathrooms with electric shower over, wash hand basin and WC. En suite shower room to twin bedroom has a shower cubicle plus WC and wash hand basin. Ample parking is available within 80 yards of the door. There is a lawn in front of the cottage with table and chairs as well as full access to the grounds.